Want a sweet treat but without the guilt? 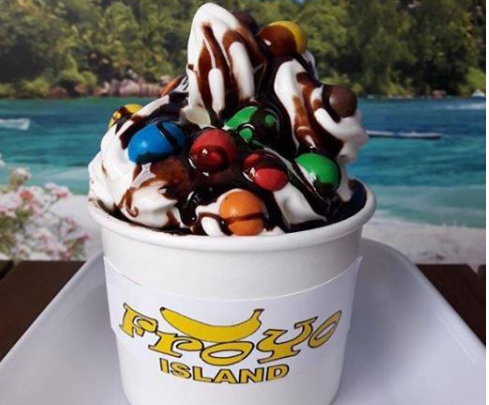 Try one of FroYo Island’s delicious and healthy frozen yogurts. Discover your favourite mix: add a special topping or two to one of Fro Yo Island’s homemade yogurt bases and create your own unique blend. The lower fat alternative to ice cream.